Okay, after a reboot I’m not getting the error with flag3 set to 0. So obviously something wasn’t getting reset on a restart of ntpd. Hi guys I’ve extensively reworked the HOWTO have a go with it now and see if it works any better. The standalone/off grid setup has been removed as NTP isn’t designed to work like this. I will consider doing a version of this using Chrony which can work off grid with an NMEA derived single clock. If kern isn’t there then it is running in user mode. I’ve noticed that kernel mode appears to have much lower jitter (always 0.000954 after stabilising) and the average offset is lower (almost always < 500ns). The only downside seems to be the frequency adjustment steps up and down rather than being a nice smooth curve. I suspect that the kernel mode doesn't use some of the fancy filtering present in the user mode code in ntp. Recompiling the kernel is relatively easy, but does take a while to run and you need to redo it every time a new one is issued by the Raspberry Pi project as apt-get update/upgrade will overwrite it. I can post some brief instructions if you want to do it. Anthony, I’ve taken the new GPS module I received a couple of days ago and a Pi 2 and set it up following your new instructions. Do you see that error anywhere in your logs? I don’t even get that in the Pi logs after a full powercycle when I don’t get the error. Greg, you posted your latest message while I was posting mine. I’m now going to try the latest Jessie and John’s ntpd package. Unfortunately there’s some issue with it not picking up the pps signal that I need to dig through tomorrow. I’ve built kernels before but only recently on CentOS systems and I figure it’s different on Raspian so I’d appreciate the instructions. I don’t know why it didn’t fall back to user mode like normal. If you have ‘flag3 1’ in your ntp.conf file then everything should be running in kernel mode when it reboots. Thanks, Greg! I’ll give it a try later tonight. What didn’t work is building the kernel on one Pi and then copying everything over to another. I’ll have to research that. I haven’t tried the the build local/copy to remote process. I’m not sure why it wouldn’t work. Assume they were the same RPi version? 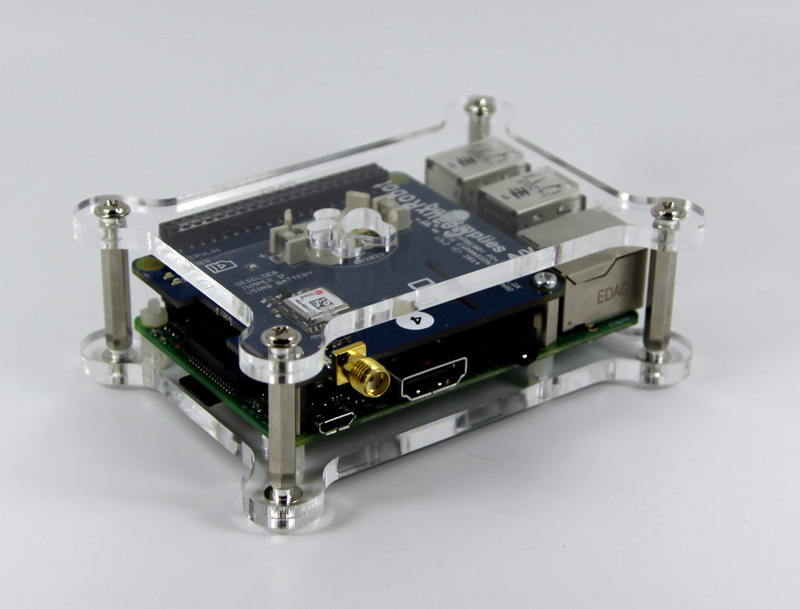 The build Pi was a Pi 2 and the other Pi was a Pi 3. I thought the kernel was the same for the two. I have one Pi 2 and one Pi 3 with the GPS modules and a separate Pi 2 that has Jessie running to use for builds. If the kernels are different then I need to replace the Pi 3 with a Pi 2 I have spare. I grabbed the Pi 3 by mistake but decided it wasn’t worth it to change it for the Pi 2. On a related topic, my CentOS 7 x86_64 system I mentioned earlier that’s been running for three months with the kernel mode PPS driver suddenly decided it would only work in user model after I had to power cycle the GPS to move it, so it appears that kernel mode PPS support can be picky no matter what the platform. why build a stratum 1 gps-pps based server, and then recommend pool.ntp.org as reference which tends to be stratum 2 and 3 ❓ not primary time sources. There are plenty of lists of publicly available stratum 1 servers. “Exercise left to the reader” which is a cop out but my instructions were meant to be a very basic howto get PPS discipline. Past this point I fully agree you want to be picking public stratum 1 servers in your local region of which there are quite a few. If you’re in europe try ntp1.leontp.org. Most good ISP’s also run their own stratum 1/2 servers mail their support and ask. I’m puzzled why one should use ntpd+gpsd to achieve what can be done with ntpd alone. Ntpd reference clock 20 combines NMEA and PPS processing, even with kernel pps consumer support. I fail to get the point of adding an extra component (gpsd) to achieve the same goal. If you are already familar with ntpd and wonder why this recipe uses gpsd through SHM rather than ntpd’s native refclock 20 GPS driver, the answer is this: when refclock 20 is configured to use 1PPS, it mixes in-band time data with 1PPS in a way that causes it to behave badly, and possibly get rejected as a falseticker, when 1PPS is only occasionally available. My install seems to have come unstuck in the “Enabling PPS/ATOM Support in NTPD” section. Here is the relevant section of the output log. Hi, I think I may have figured out what was wrong. Correct I’ll fix the instructions. Me again. Feel free to delete the previous posts which are still awaiting moderation… and delete this section of this post. 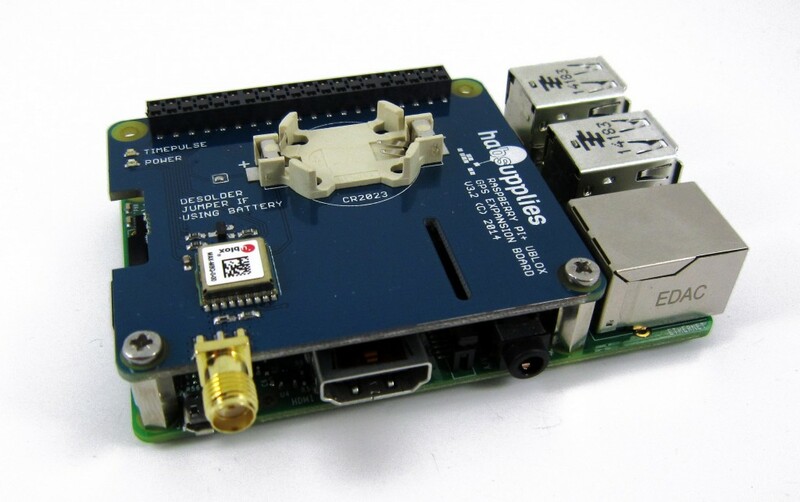 I was unable to get the ntpq -p and ntpq -crv commands to show a working NTP until I connected the Raspberry Pi to the Internet. Is it possible to get it working on a local network that does not have an internet connection? Sorry about the delays in responding just on paternity at the moment and spending lots of time changing nappies. The LeoNTP looks like a nifty device. Unfortunately a bit out of my price range for home. How to disable GLONASS and enable US GPS, My external Antenna is made for US GPS, and to much narow to use GLONASS sub channel and only see 1 Sat or MAX 3. like with GPS control should be cool! For static IP, it’s not necessary to use dhcpd.conf. Your addresses will, of course, vary. I note the changes and comments regarding running in standalone mode. I am using a device I configured a while back using your previous instructions – standalone mode. Will I see or have any issues? So far (over a year) it seems fine as far as I can tell. Good question and I’m not sure. NTP isn’t designed to work without peers so I just removed it. I’d be interested to see how far (or not) your unit is out. Can you connect it to the internet ? I understand Chrony does work standalone. Anthony, look RFC1305, where “NTP isn’t designed to work without peers”??? The algorithm in NTPd is designed to fine tune the time based on multiple sources, it isn’t currently designed or optimized to work standalone. I understand there is some work going on in NTPSec to address this autonomous mode but at the moment it may be worth checking out Chrony. This is not to say it won’t work, your example proves this but that its not advised and may not give the true time when referenced to an external source. Got the Uputronics GPS board installed and configured on my Pi 3 and it’s working great. I have a couple of questions though. I got the setup to work with the 20 driver and it’s working, and I managed to upgrade my NTP version to the new NTPSEC and keeping the driver, THAT works. What I’ve not been able to get working is the “feeding data from GPSD to NTPD” solution. I can’t seem to get GPSD to be happy, it bombs out saying the IPv4 port is in use. I built GPSD from source (v 3.16), the docs claim it should go figure things out automatically, but that rarely seems to be the case with Linux. Just curious if anybody else has made this work? Just wanted to thank you for writing up this guide. I got my Pi 3 running well with the Uptronics board. I really wanted to get seconds from the serial line of the GPS – but I just could not get GPSD to cooperate, so I sync with a few Stratum-1’s in the area. My offset with just S1’s was within 2ms, so I am certainly always on the right second. Having a GPS antenna providing me PPS signals has improved my offset to a 50us window, and I love it! Thank you so much. Oh, another comment. Raspbian has moved on to the Jan 2017 build now. I could not get any of the ntpd builds to compile with ATOM support. However, I was able to get ntpsec 0.9.6 to build on the pi, so that is what I am using. I’ll review the instructions with regards to Raspbian. I was going to move over to NTPSec anyway so now is as good a time as any. So I got it working, thanks for the great guide. But my Windows server (running the Meinberg NTP daemon and monitoring tools) seems to be showing a +1ms offset, I was expecting it to be better than this. Have I done something wrong? 192.168.0.6 is my Raspberry Pi stratum 1 server. Do you mind to share your system details and instruction guide to achieving 1-microsecond accuracy? Do I need to have the kernel build to achieve that accuracy? On make menuconfig there is no PPS kernel consumer support on 4.9. Any clue on how to compile/enable kernel pps on this version? Or should we just use 4.4? Claudio, I noticed that too. Without that option you can’t enable PPS in the kernel. I tried to add the compiler flags for PPS Kernel Consumer Support manually but It didn’t seem to work (Kernel compiled OK but no PPS Kernel Support). I haven’t had time troubleshoot beyond that yet. If you manage to figure it out please let me know. This has changed in recent raspbian. on recent raspbian, of course. Revised with latest Raspbian all working fine. Had no problem following the instructions here and have turned my redundant Rpi2 into a stratum 1 time server with the uputronics GPS hat. When I go the job done I thought the solution was odd. Only using the PPS from the ublox receiver and ignoring the local NMEA in favour of time from another NTP server. I read the comments about “Why GPSD” and took that to mean there’s a serious bug in the generic NMEA driver (type 20) in NTPD. Restart the NTPD and all seems to be well. After a few minutes I got the magic ‘o’ next to ‘GPS_NMEA(0)’. I left it for a few hours and it settled down to 2 microseconds jitter.